We live, we get hungry. The better food we eat, the more alive we feel. Today, as always, we’ll eat the harvest of the land and the bounty from the sea. However, we often take for granted those whose hard work provides it for us. 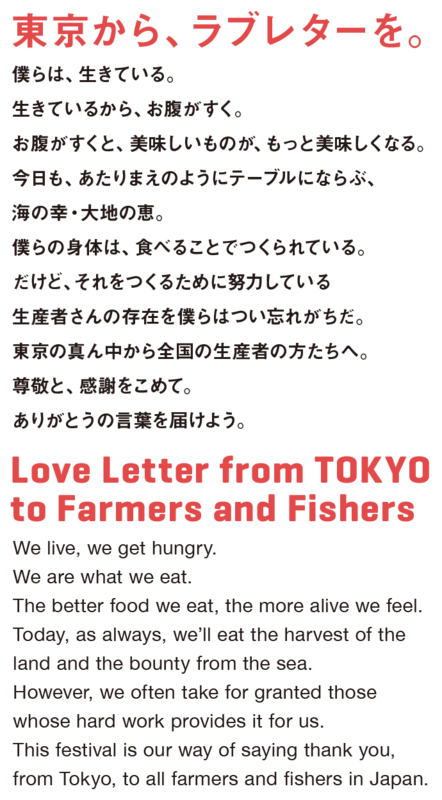 This festival is our way of saying thank you, from Tokyo, to all farmers and fishers in Japan.